"Deep Cover," a NY Times bestseller by former DEA agent Michael Levine, is a first-hand account of the sabotage of a DEA undercover sting operation that threatened to expose US government ties to drug financed governments in Mexico, Panama and Bolivia. As the NY Times put it: "A fascinating, exciting and sometimes horrifyingly comic tale..."
“60 Minutes” called him "America’s top undercover cop for 25 years." The drug lords call him "El Tiburon," The Shark, and "El JudioTrigueño," The Dark Jew. His undercover exploits are legendary. 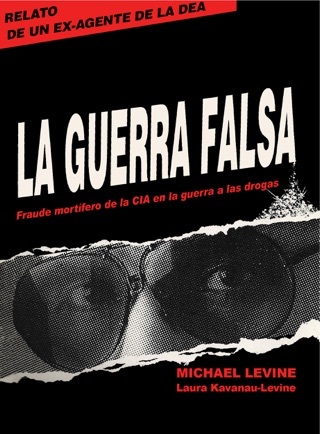 He is Michael Levine and for a quarter of a century his deep cover operations penetrated the highest echelons of narcoterrorism. In "Deep Cover" he pits himself against high level factions of our own government whom he claims are more a danger to the American people than any narcoterrorist. 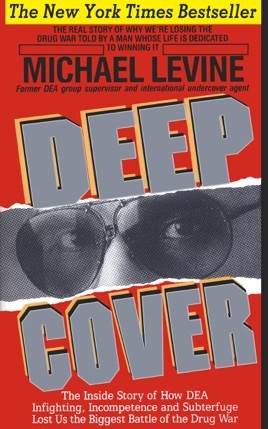 Voted one of the ten most censored non-fiction books by mainstream media, "Deep Cover" is the explosive real story of why America’s War on Drugs is a shell game intended to distract us with phony media-hyped successes while we are bilked of billions of dollars in taxes to support international banking and Third World economies. Operation Trifecta begins in an Oklahoma jail cell where David Wheeler, a 48 year old self-proclaimed screenwriter and drug dealer to Hollywood stars, sits contemplating a life sentence for cocaine sales. The newscast he’s watching is about to change his and Mike Levine’s life. Days later Levine is ordered to travel to San Diego. Wheeler, just removed from prison by Customs to work as an informant, has made a deal with corrupt Mexican law enforcement figures to smuggle cocaine into the US using the Mexican Navy. Spanish speaking Levine is needed to play the undercover role of a Mafia don to close the deal. A top DEA suit tells Levine: "Customs is on our turf. We want you to take over the investigation. But do it subtly; we don’t want to piss off the commissioner." 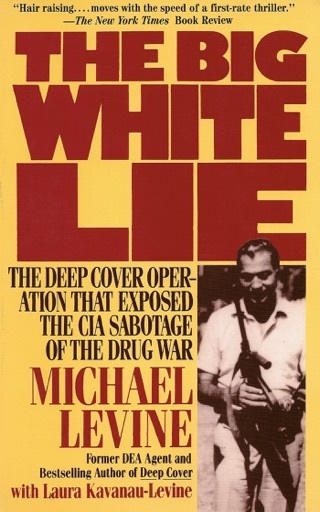 Levine, under investigation for the events captured in "The Big White Lie" senses a trap. The paranoia that has kept him alive for the past decade grips him. He begins recordingevery conversation; recordings that will become the fact basis for "Deep Cover." 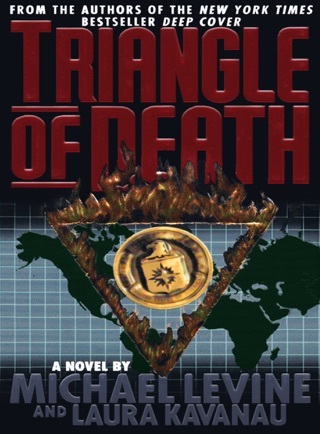 Operation Trifecta would bring Levine’s fictitious Mafia team on a deep cover odyssey through the jungles of Bolivia and Panama, into the back rooms of Washington DC deal-makers and across the killing fields of Mexico. 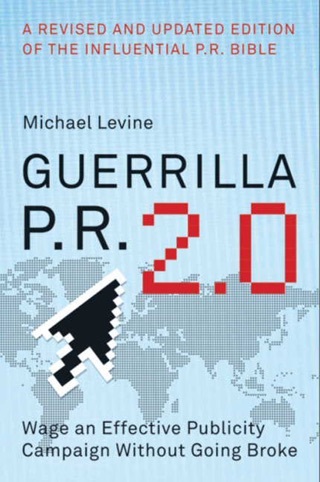 The sometimes hilarious and other times horrifying odyssey culminates in a death trap in Panama that Levine would barely escape to write this book. "Deep Cover" is part of the true history of our war on drugs that readers will never find in newspapers or history books. From "Deep Cover": At 3 P.M., a shirtless Chuy admitted us to the room. A drained looking Jorge watched us from the bed. "My people want me to call the whole thing off," he said almost before the door had closed. “They think something is very suspicious. You know, DEA agents are in your hotel right now." I was not surprised by the last. The way some of my colleagues had been behaving, I figured their presence in the Marriott would be front page news. "My brother," I said meeting his level gaze. "I think I agree with your people. We should call the whole thing off. 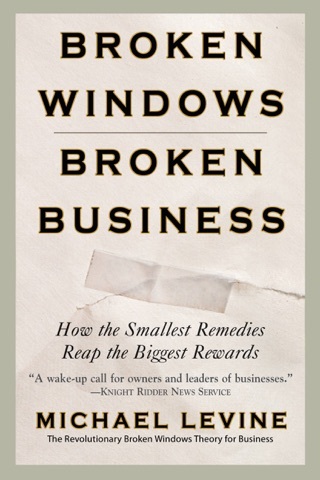 There is just too much distrust to do business. My people are on the verge of ordering me back with the money." I again rehashed the airport incident. "They said exactly what they said before: If we can risk our plane in Bolivia and our money in Panama, they cannot understand why you cannot come to the Marriott and walk out with two sixty pound suitcases that look like any of the other suitcases seen all over the lobby." Roman shook his head wearily. "You know Luis, the one thing I am sure of is that you are not DEA. This whole affair is so stupid it cannot be DEA." I smiled and said nothing. It was a line I would never forget.